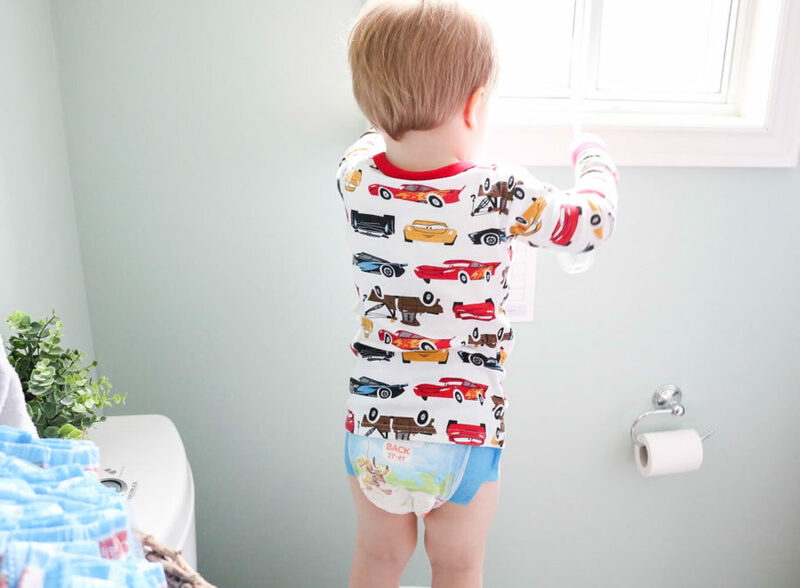 To parents, potty training can be their worst nightmare—and I get it. 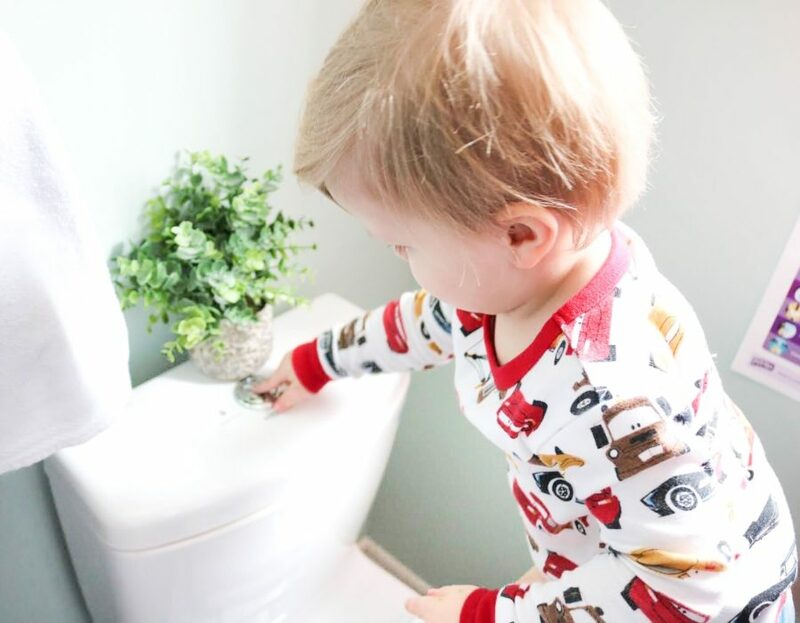 Potty training can be intimidating and feel like a never ending journey, but it’s always important to keep in mind that there is light at the end of the tunnel! And we can thank Pull-Ups for that. We started potty training our son Mason, who is 2 ½, about a month ago and now we are in FULL FORCE!! This little man has moved quickly into Big Kid status – tear! 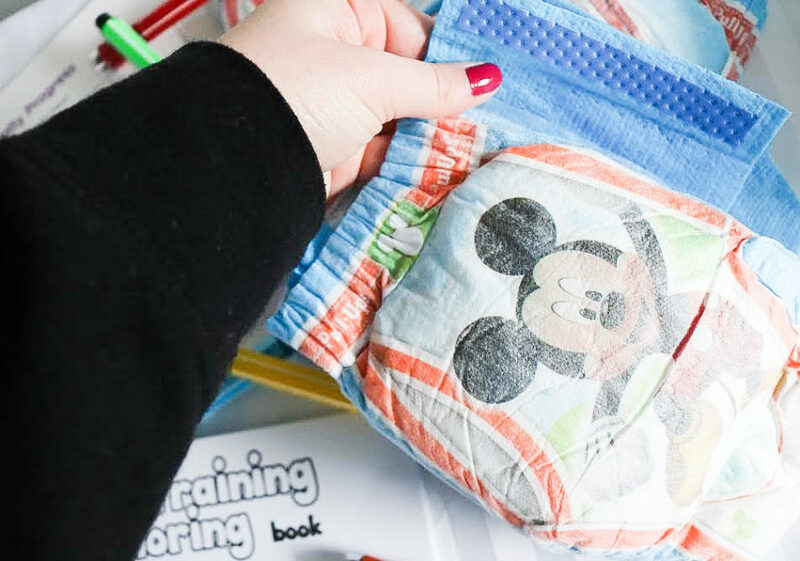 One thing I’ve learned throughout this potty training journey is to celebrate the ‘Big Kid’ successes by placing special focus on important milestones, making it fun for both child and parent. 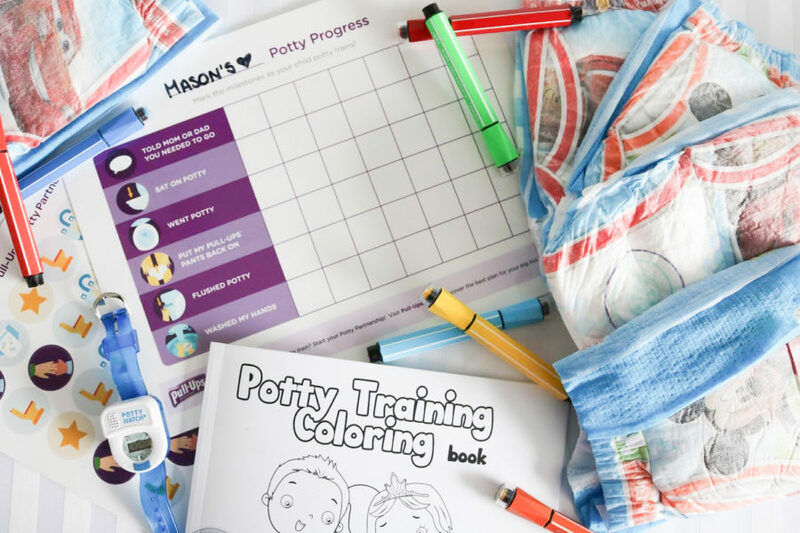 Pull-Ups has always been our go-to with all their valuable and fun resources available online to help keep potty training fun and keep Mason (and me) motivated including the Potty Training Treasure Chest, these Top Five Potty Training Games , and this Potty Training Sticker Chart that’s a great tool to help your child track and visualize their potty training progress! 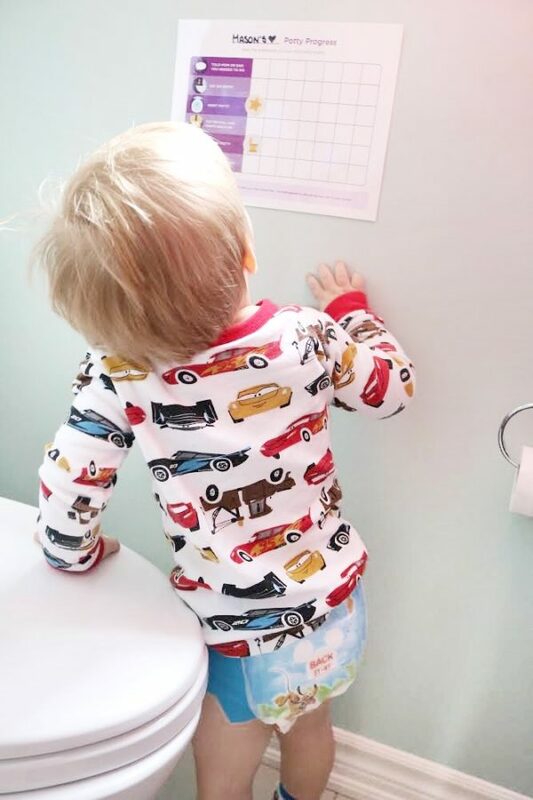 We update our Sticker Chart each time Mason “tells mom and dad” or is successful using the Big Kid Potty – that’s when Mason gets to put a little sticker or marker stamp on his chart which is the most exciting thing for him to do! 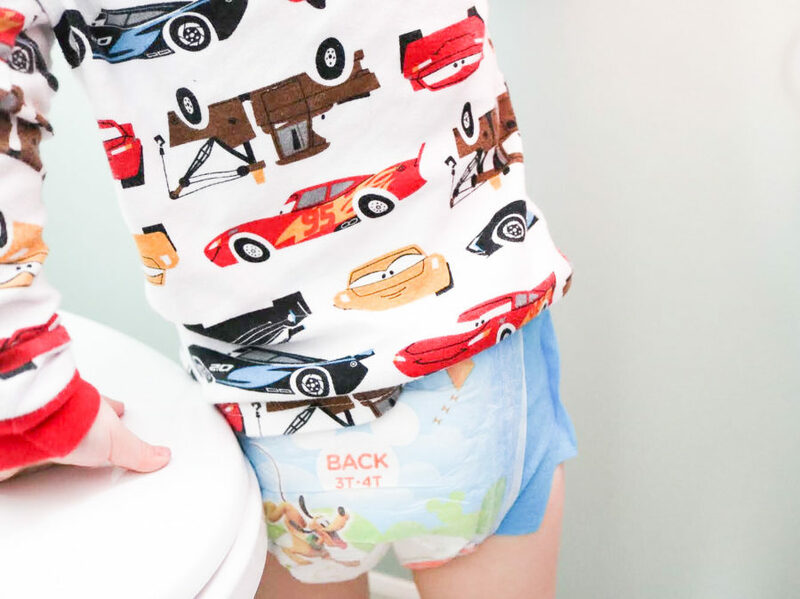 To help Mason feel like he is wearing big boy underwear, and to spare us from any troubles if an accident happens, Pull-Ups easy open sides allow for easy changes and the soft, stretchy sides gives him the protection and comfort he needs. 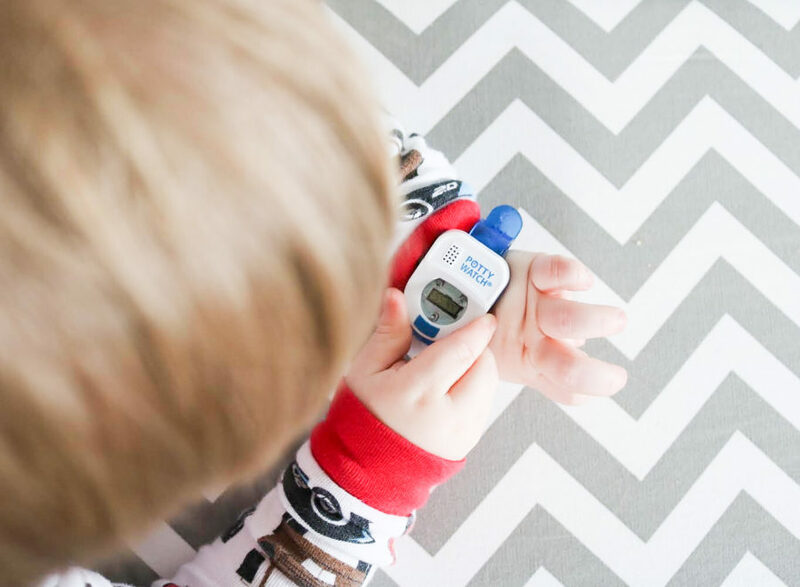 The potty watch is also way too adorable – Mason wears this watch every day and every 30 minutes, it starts to sing which means “Mason, time to go to the washroom” preventing less accidents. As a reward we always give him Smarties and a new marker and colouring sheet so he knows he’s done a good job and that we are proud of him. If it wasn’t for Pull-Ups offering a ton of support beyond product, I probably would’ve given up long ago! How do you feel about them sleeping with this pull-up during nap time? Yess! I’ve babysat several kids who were potty training, and they LOVE the pull ups 🙂 Celebration is key, too – love the idea of the sticker chart! And how cute is that watch?! Good job on the potty training! Great tips! Such great advice for potty training! My Little is only 4-months-old but it always great to read about others experiences. I will definitely try pull ups when it’s time. Love this. My daughter just potty trained. It’s so bittersweet. Oh potty training! My little is showing signs of readiness and I’m just not ready yet! They grow up too fast. These are great tips though! I’ve never seen the watch before! My daughter is 14 months old and I’m so afraid of phase! Thank you for easing my fears though, I love the little chart. I agree that you should not rush them eventually all of the kids get potty trained. Love how you are documenting everything with it. What a great post! I’ve heard a lot about using the charts and reward. My cousin is currently trying to potty train her daughter and I’ll have to send this to her! Thanks for sharing.